I am helplessly addicted to lip balm, I have them all over the place. I have 3 at my computer desk, 2 in the diaper bag, 1 in the bedroom and a couple in the bathroom. In the winter I have 1 in the car. I even always had one on my keyboard at my old job. I am very picky about my lip balm though. I love the original Burt’s Bees, and really like Lush’s Lip serivce once I got used to it. I like using Lansinoh linolan for when I’m asleep or if I somehow get chapped lips. I’m trying out a couple of organice balms but I’m not convienced about them yet. 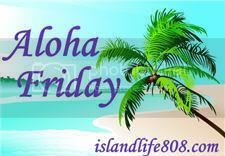 This entry was posted in Aloha Friday and tagged Aloha Friday. I love Burt’s Bees as well. I also love light colored lip shimmer or lip gloss. One of my faves was actually from Mary Kate & Ashley( Yes I borrowed it from my daughter and never returned it)I searched for a replacement but couldn’t find it. Bummer. Burt’s Bees Lip Shimmer in Guava ~ I have one stuck everywhere – purse, bathroom, kitchen, car, golf bag! I don’t use anything on my lips. I’m not a fan of lip balm at all. Weird, I know. I have a lot of them. You can check out my makeup reviews at my site, The IE Mommy. But right now I think it would be the L’Oreal HiP lipgloss. Swing by my site to answer my question too! I LOVE blistex roller ball one.. cant think of what its called but it tastes fruity! Carmex. It is so dry here in the mountains. I have to have it on hand all the time or else my lips look like a shedding snake. I like Burt’s Bees, Soft Lips and also Avon chapsticks. A lot of other items cause allergic reactions on my lips. My MAC lipstick–love the stuff and wear it every day! I don’t use stuff very often but when I do it’s Neosporin’s lip ointment. That stuff is awesome! Beautiful baby photos. Your daughter is adorable. I like Burt’s Bees Lip Shimmers. They are my favorite. I love good old Chapstick, it never fails me. Lip balm for me, too. I have one in every room, all my purses, and in all the cars! I also like good old Chapstick in cherry! Great question Jinxy! I love Carmex, Burt’s Bees and the Menthol lip balm you get at Bath and Bodyworks. My favorite is Neutrogena’s Lip Gloss in the balm pot, but since they stopped making it I now use Smith’s Rosebud Salve which I really like.